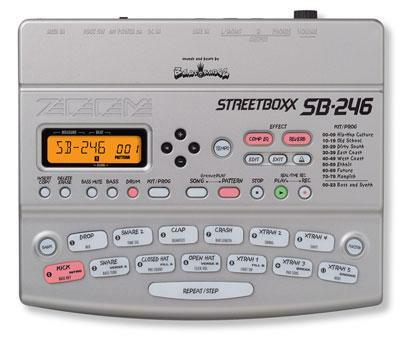 It's called a Streetboxx SB-246 and it's a portable Hip-Hop beat generator of sorts. It comes stocked with a number of pre-done beats including old school and kangish. This page contains a single entry from the blog posted on August 12, 2006 1:22 AM. The previous post in this blog was CNN Discovers Brooklyn. The next post in this blog is Yale Architecture Students Gentrify Red Hook.